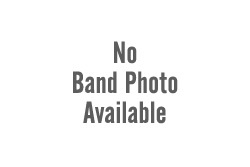 Hailing from somewhere in the Philippines, I think, is traditional melodic power metal band A Hero For The World, delivering their latest and third album with the lengthy title, West To East Pt. 1 Frontier Vigilante. Not to be entirely dismissive of this new release, but everything that can be said about the band and this work was said in my review of their first album A Hero For The World. Read the article and then come back, or simply read on as I summarize some of the highlights both positive and negative. 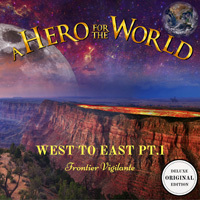 First, according to the band's YouTube page, West To East Pt. 1 Frontier Vigilante is "an adventure concept album starting in the Wild West." This leads us to one of the positive aspects of the album. AHFTW blends in some Western musical nuances into their power metal to give some character to the Wild West theme. This is notable in the saloon piano within Gold Of Klondike, the native American tones of Cheyenne, or the rhythmic Western swing of Outlaw In The Wild West. After this AHFTW's power metal is largely derivative and familiar sounding like a mixture of old Edguy and Stratovarius. But as said in the previous review four years ago, the band nails the genre. As for the downside of the album, it's basically the same as the last time: Jacob Kaasgaard's vocals. When he stays within in his natural range and register, he can be strong, controlled, and melodic. But then there's those times he bolts to full heavy metal screamo, more like fingernails across a blackboard screeching. You hear it right from the start with A Hero Returns and in other songs. But to be fair, Kaasgaard does show some new moderation across this album. But that twinge of full tilt screecho still made me cringe. To summarize then, AHFTW's West To East Pt. 1 offers some derivative melodic power metal, yet with creative addition of some Western musical tones to many songs. But I still have my doubts about the vocals. AHFTW's West To East Pt. 1 offers some derivative melodic power metal, yet with the creative addition of some Western musical tones to many songs. But I still have my doubts about the often screamo screeching vocals.